Whenever I hear or see a Tesla, I go into Jan Brady mode. Because it is all about Elon Musk’s automotive enterprise, really. Just like Marcia is to Jan. The subject of electric vehicles is a mixed bag for me. I appreciate the willingness and gumption of Tesla and other automakers to push the idea of an electric vehicle for today. However, we often forget two things in the discussion. One, electric vehicles became as equally popular to steam- and gasoline-powered vehicles about 110 years ago. The gasoline engine won out, thanks to World War I. And, two, there are other manufacturers that produce electric vehicles today that are actual automotive enterprises – not a tech firm. Before you say anything about Marcia Brady – hence referred to as the Tesla Model 3 – let me introduce you to Jan: The 2018 Nissan Leaf. The second-generation Leaf is one of several Jan Bradys in this conversation. Right now, you can get a longer range EV from Chevrolet (Bolt EV) and, soon, from Jaguar (i-Pace). 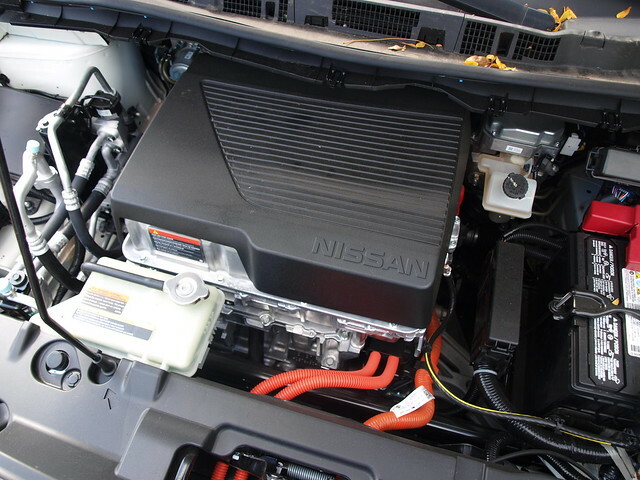 However, the Nissan is the most affordable battery electric vehicle with a maximum battery range of over 150 miles. In fact, the Leaf has a maximum range of 151 miles. 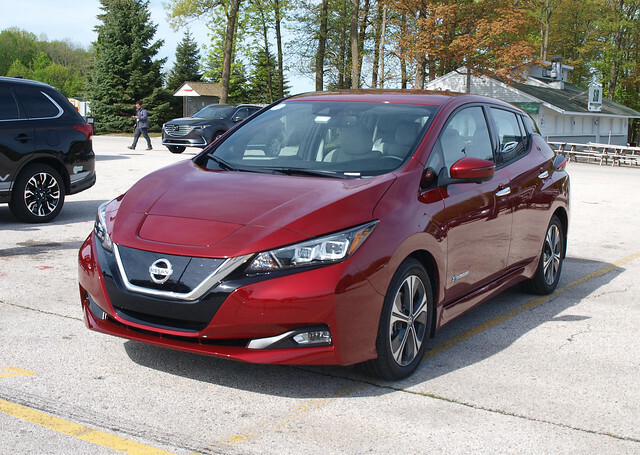 At the Midwest Automotive Media Association Spring Rally, I drove the Leaf SL with the Technology Package. 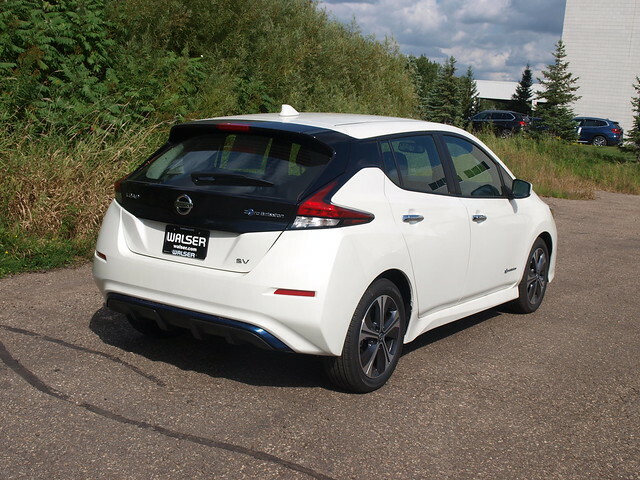 The Leaf is powered by a 147-horsepower electric motor driving the front wheels. Electric motors are known for great low-end torque, so you absolutely feel the 236 pound-feet of grunt right off the bat. A single-speed reduction gear transmission sends power down to the front wheels. Also, you get standard port charging for 120- or 240-volt and Level 3 FastCharging in the Leaf – both plug-ins are in-between the grille and the hood inside a pop-up door. With the new Leaf comes e-Pedal driving. It works more as a collision-prevention device than a braking system. The system monitors traffic conditions and takes over with conventional braking to avoid a collision. The Leaf also has ProPilot Assist, which is a semi-autonomous driving system. However, it uses current active safety technology to achieve it, including Intelligent Cruise Control, Intelligent Lane Intervention, Automatic Emergency Braking, and High Beam Assist. Two additional technologies are also found on the Leaf. One is Active Ride Control, which uses the brakes and the electric motor to help in making the ride smoother. Another is Intelligent Trace Control, which is the Leaf’s version of traction control when dealing with curves using the brakes on individual wheels to help get it through the twisties and cloverleafs. With a lot of “Intelligent” technologies on board the new 2018 Leaf, you would be right to assume that it looks and feels smart, too. It is. The style is contemporary with the rest of the Nissan lineup, which makes the Leaf more attractive than ever. It would be suitable as a new generation Sentra hatchback if designated. In all, the doors swing out wide, and there is plenty of access to the cargo area with its large hatch. It is a very handsome car. The same goes for the interior. Everything just looks and feels “normal.” That is until you work with the gear selector. Everything else is standard Nissan fare – which all works exceptionally well. You now can get NissanConnect with Apple CarPlay connectivity. About time, don’t you think! 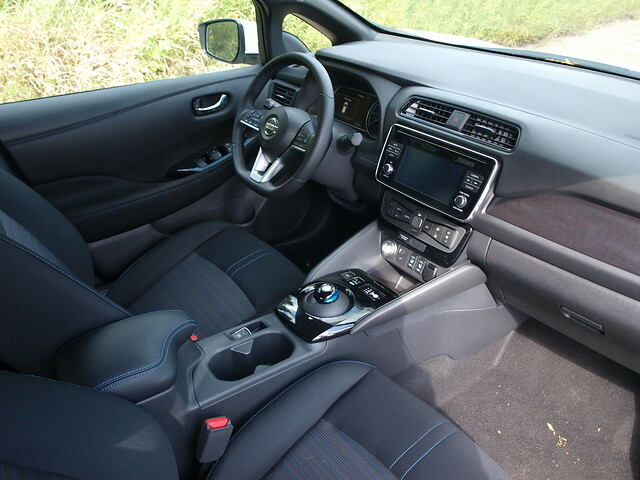 The seats are very comfortable and offer a relaxed feel behind the wheel and all around. I like the normalcy of space – even in the rear. You would probably want to seat four, due to its very high “transmission hump” between the outboard rear seats. You do get 23.6 cubic feet of space behind the rear seat. The rear seats fold down for more space when you needed it. The way the Leaf drives is simply wonderful. The ride is smooth, and it handles extremely well. You will be surprised when it corners, as the Leaf goes through corners with nominal roll. The steering is very direct and reacts well to the wheel. It will hold its lane very nicely and provides a solid feel to the road. The brakes are also very good for an electric car – right on par with the better gas-electric hybrids out there. That sticker price came to $38,510. I also had the chance to check out an SV model with the Technology package, sticker priced at $36,870. Before we even talk about tax credits and incentives, these sticker prices are lower than the average price of a Tesla Model 3 Long Range Battery with Rear Drive and Premium Interior or a Chevrolet Bolt EV Premier. Consider that last sentence for a moment. Before you jump head first into a full battery electric vehicle, consider the Leaf, not as a compromise between those two choices listed above. Rather, as a choice above all equals. There are two mains: tangibility and accessibility. 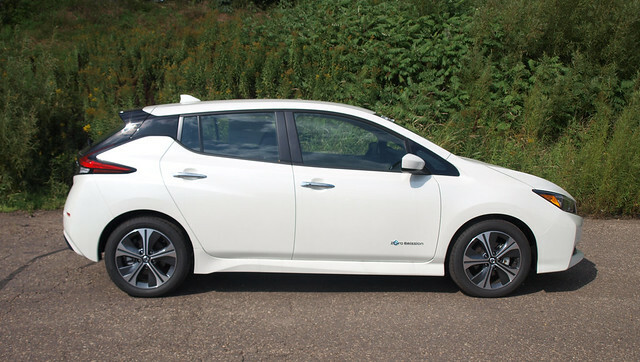 The Leaf is tangible because you can get one right now at your local Nissan dealer. You can also get service for your Leaf at those same dealerships. No need for tow trucks to retrieve your EV hundreds of miles away or to find out your dealer does not service your EV at all. Besides, would you rather be Marcia or a highly successful and happier Jan? In this case, go with Jan.